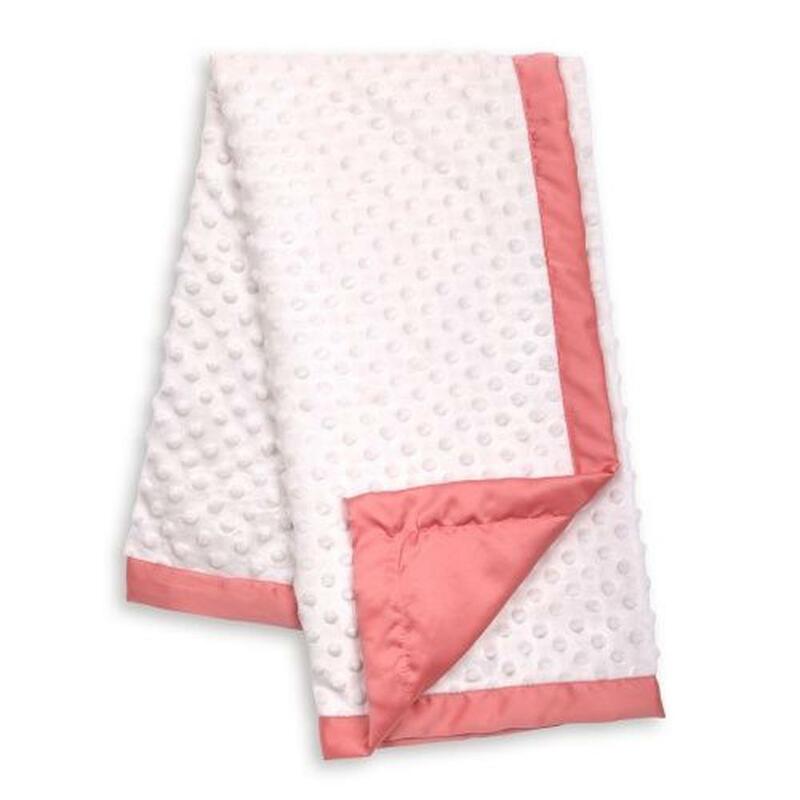 This warm and cuddly Peanut Shell blanket is made of super soft textured dot fabric and framed with a coral satin border and reverse. This blanket makes a wonderful gift. Measures 30" x 40".